Your muse is perched on your shoulder, pouring inspiration by the bucket into your mind. You are in the groove. Two hours into your marathon writing session, you notice an annoying twinge in your back. 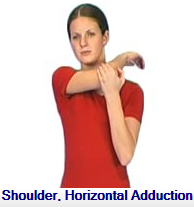 Your wrist aches. Or maybe there’s a pain in your neck you can no longer ignore. 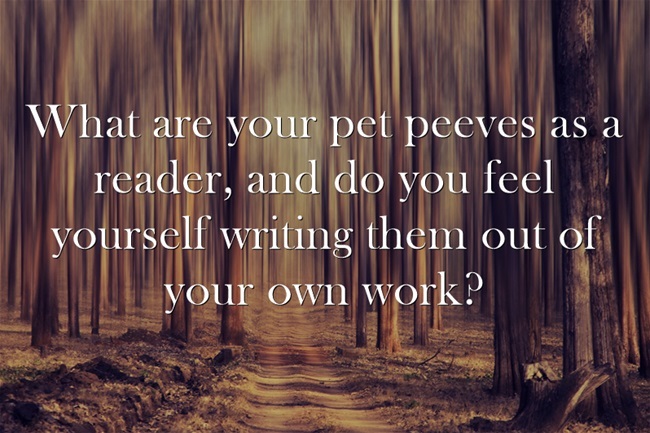 You may not think of writing as a physically demanding activity. Sure, it’s not on the same level as construction work, waiting tables, or performing surgery. However, the repetitive motion of typing, the long hours sitting in front of a computer, and a poorly arranged workstation can take their toll. Stretching can prevent aches and pains, and alleviate them when they do happen. 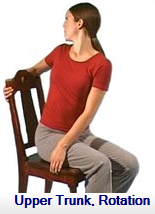 In Ergonomics for Writers Part One, we covered posture and the correct adjustment of your chair and desk. Part Two explained how to avoid eye strain and wrist damage. Professional ergonomist Mary Plehal shares her ergonomic tips for office workers. Even the most exercise-averse writers can benefit from these simple steps. 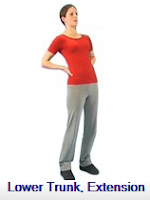 Start with good posture before you stretch! Below are 9 recommended stretches for writers. No one position is good all of the time. 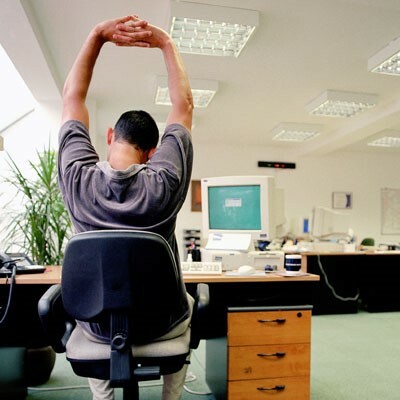 Get out of your chair and move/stretch often. 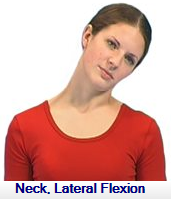 But what if good posture and stretching don’t cure what ails you? This ends the three part series on Ergonomics for Writers. Many thanks to Mary Plehal, professional ergonomist. I hope you’ve been able to use tips for adjusting your work area, reducing eye and wrist fatigue, and stretching to avoid injury. Congratulations to Andrew Beasley whose historical novel took second place in the 2016 Colorado Gold Writers Contest. The Chinese Ghost is a work of fiction of 87,000 words. It is set in 1854 in California. Shay Hardiman receives an inheritance: land, a cabin, and Wei Lu, a Chinese slave woman. They resent their enforced relationship but overcome their differences in face of threats from Colonel Jackson Carleton. In a frontier society where the strong take what they want, Carleton attempts to force them from their new home. Their survival depends on their trust in one another, and the wisdom of their desperate decisions. When an elderly Chinese man uncovers a long-buried secret, Hardiman and Wei Lu use it to defeat Colonel Carleton and secure their future. 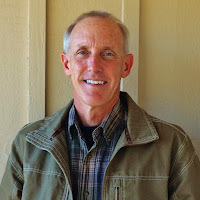 Andrew Beasley has written professionally for the past twenty years. 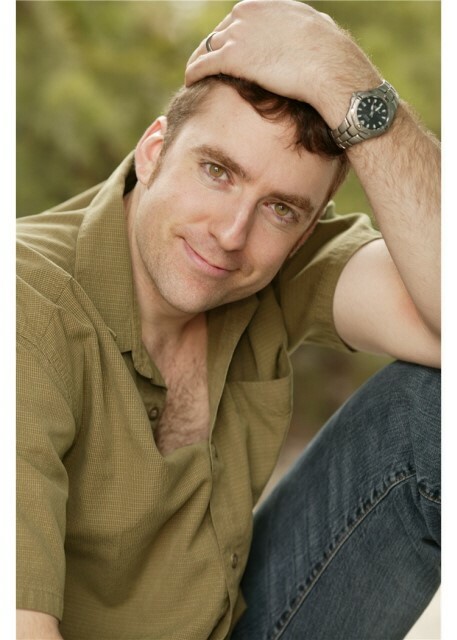 He’s been a freelance, non-fiction author for magazines of the Taunton Press (Fine Homebuilding, Fine Woodworking, Fine Gardening), and has appeared in a number of televised episodes for the DIY and HGTV networks. He flew supersonic jets as an Air Force pilot and now flies an experimental aircraft with which he has won a pair of races. He enjoys both literary and historical fiction and is currently working on short stories and a novel set in Europe in the 1920s. Hi there! My name is Patrick Hester. 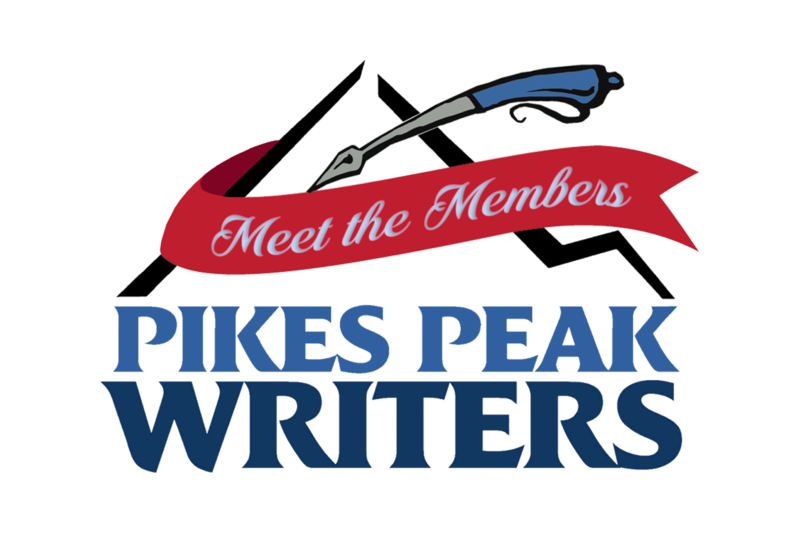 I’m a PPW member, have taught at Write Brains and PPWC, and volunteer as a board member for Pikes Peak Writers. 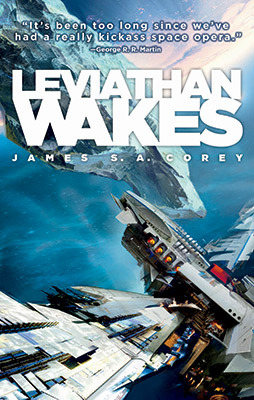 I’m also an author, leaning toward science fiction and fantasy, though I have dabbled in all sorts of fiction. I have a critique partner named JT Evans. You might know him as both a contributor to this blog, and as President of Pikes Peak Writers. One of the kind things he and others have said to me numerous times is how well I do scene and chapter breaks. That means a lot to me, because I work hard on them. I want my readers to turn the page and keep reading, not take a break. The secret to doing that well? The answer might surprise you. 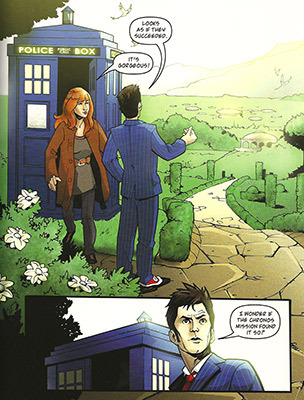 Two of my favorite things: comic books and Classic Doctor Who. Now, I know that some of you are rolling your eyes and grabbing for your mouse to close the browser window. I’m gonna encourage you to stick around. Even if comic books and Doctor Who aren’t your thing, I assure you these two things are not as strange as they may seem on the surface. And the lessons they teach can impact your writing and ability to hook your readers and keep them engaged. And isn’t that what it’s all about? One of the most popular forms of storytelling is the serial, which utilizes cliffhangers to keep the reader, or watcher, coming back for more. 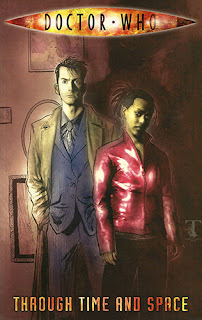 Comic books and Classic Doctor Who both used this structure quite well, and instilled in me and hundreds of thousands, if not millions of fans worldwide, the same sense of wonder, excitement and anticipation at what will come next. Will the Doctor and Sarah Jane escape the Daleks this time, or is it all over? How will Spider-Man manage to beat Doc Ock and pay his rent on time? Okay, I admit the second one is a little odd, but that was part of the fun. Allow me to delve a little deeper into this and bring it around to your writing. Comic books have a formula to them. So do Classic Doctor Who episodes—the stuff before the recent relaunch under Russell T. Davies. But let’s stick with comics for a moment. 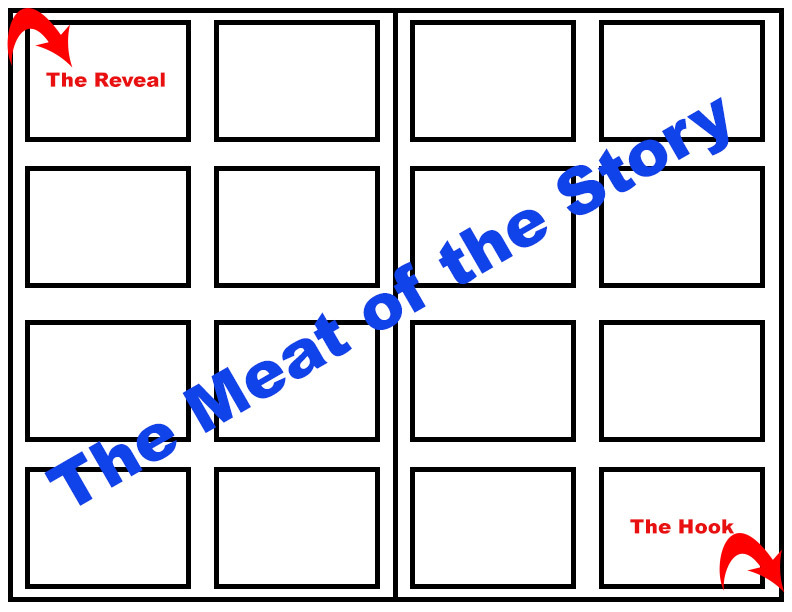 The page of a comic book is designed to guide you through the story, panel by panel, and make you turn the page. Here’s an illustration of what I’m talking about. Now, comic book pages have become quite sophisticated through the years, but the premise is still the same. Pages are split into ‘panels’. The lower right hand corner of the page is: The Hook. Some question is asked here, some action is taken, maybe a fight begins, or an explosion, or someone ‘off screen’ suddenly says something. It’s such a hook the reader must turn the page to see what happens next. Which brings us to the upper left hand corner of the page: The Reveal. This is the resolution of whatever happened in that last panel on the previous page. It’s the reward for having turned the page, and it satisfies readers, justifies their attention and the fact they kept going. And it restarts the cycle for the new page. If you’ve ever read a comic book, you’ll notice that the last page almost always ends on such a hook—an unanswered question, a surprise attack or mystery of some sort. All intended to bring readers back in a month to see what happened, learn the truth and keep moving forward. Let’s put it into context for the fiction writer, because it’s a powerful tool for us to have. What makes for a good scene break or chapter end? When some writers start out, they see chapters as having a beginning, middle and end— a resolution. That’s not horrible, but if your chapters end in resolution without asking new questions or revealing new dangers, you’re giving your reader an out and an ending. They can now stop reading, take a break, grab food, watch TV, scratch the cat behind the ear, hug the significant other across the shoulder, or maybe walk the dog. That’s not what you want to happen. You want the cat to be singing its mournful song, the significant other to feel abandoned, and the dog to leave a ‘surprise’ on the kitchen floor, all because your readers couldn’t tear their eyes away from your story, your book. Think about the last book you read that you simply couldn’t put down. The one that drove you nuts. Every free, waking moment of your day, you longed to spend with your nose planted between those sweet-smelling pages. When you couldn’t do that, couldn’t read it, you were fidgety and anxious. Kept finding your mind wandering back to the story, the characters, and where you left them— precariously balanced on the edge between life and death, happiness and despair. And when you were reading it, and came to the end of a chapter, you took a breath, turned the page and told yourself, “Just one more chapter and then I’ll stop.” Only you didn’t stop. You kept going. Why? What was it about that book that made it impossible to put down? Most likely, it was some form of what I describe above. Which can also be called ‘beats’. The author used them and played you like a virtuoso, pulsing at just the right times, luring you in and keeping you so focused that anything short of continuing on was unacceptable. That’s powerful writing, and you are just as capable of it as that author you were reading. Understanding how the author did it is half the battle. Translating that understanding to your own writing means breaking it down. Like with the page of a comic book. Let’s be honest. You can’t design the pages of your book the same way you can a comic. It won’t work. Or, it could work, but your publisher would hate you because it would involve a lot of complicated layout, design and probably some PhD level math. Instead, think about the structure of your book as a whole, see how it flows, how the sections and chapters break the way you have it now, and how they could break with a little tweak. 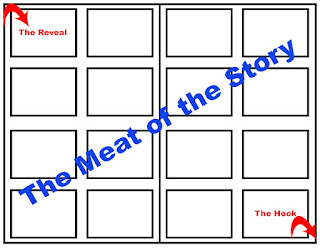 Think of your story as a self-contained serial where each chapter feeds into the next. Like Classic Doctor Who. See? I told you’d I’d tie all of this together. • The Doctor and his companion arrive on a planet. • There’s something wrong with the TARDIS requiring them to spend some time here. • They begin to explore. • They encounter the locals, and get split up. • One or both discover there’s more to this place than they originally thought, and something isn’t quite right. • Suddenly, either the Doctor, or his companion’s life is in jeopardy! Trust me, as soon as the music started, you were up and out of your seat shouting, “No” because you knew you’d have to wait to see what happens next. In the UK, that meant a week. In the US? You’d have to wait through a pledge drive bit and then they’d get on with the next part of the episode. Not horrible, unless you absolutely couldn’t wait to see what happens next. And there it is. That reaction we want as writers. Getting it is as simple, and difficult, as applying the idea of the cliffhanger to your writing. Learning to play with these beats and rhythms starts by emulating what you’ve read and seen in your own writing. Remember that book I mentioned above? The one you couldn’t put down? Why couldn’t you put it down? What did that author do, and how can you apply it to your own writing? Analyze and adapt. About the Author: Patrick Hester is an author, blogger and 2013 Hugo Award Winner for Best Fanzine (Editor - SF Signal), and 2014 Hugo Award Winner for Best Fancast. He lives in Colorado, writes science fiction and fantasy, and can usually be found hanging out on his Twitter feed. His debut novel, SAMANTHA KANE: INTO THE FIRE is forthcoming from WordFire Press. His short fiction can be found in the anthologies Space Battles: Full-Throttle Space Tales #6 and An Uncommon Collection, as well as the eBooks Conversations with my Cat, Witchcraft & Satyrs, Consumption, Cahill's Homecoming (Cord Cahill Serials Book 1) and Cahill's Unfinished Business (Cord Cahill Serials Book 2). 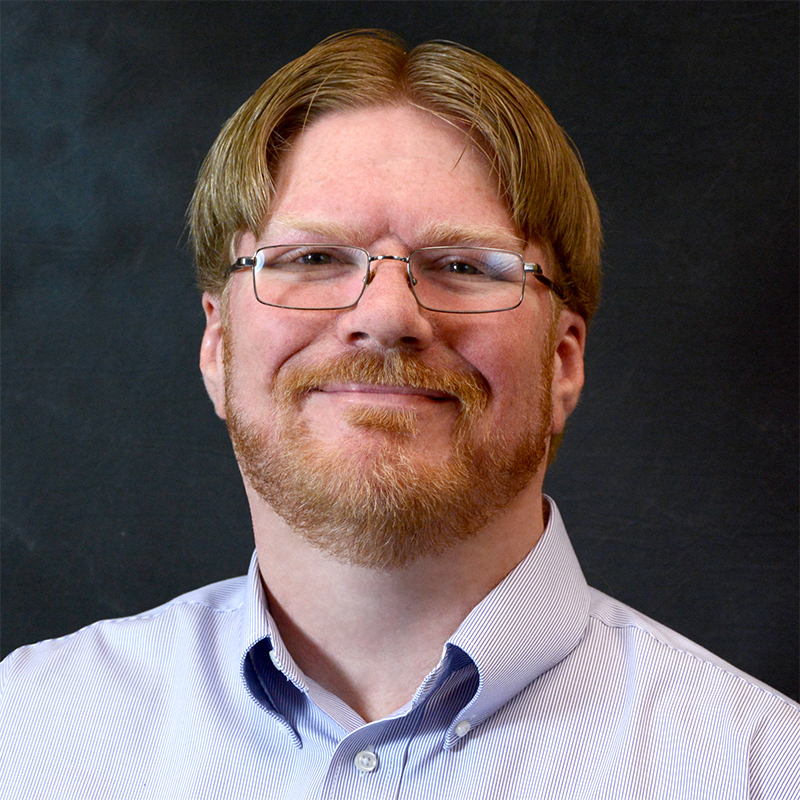 His Functional Nerds and SF Signal weekly podcasts have both been nominated for Parsec awards, and the SF Signal podcast was nominated for a 2012, 2013, and 2014 Hugo Award. He writes a twice-monthly column for the Kirkus Reviews blog, for his own site atfmb.com, SF Signal (now closed) and Functional Nerds. Bernard Malamud (April 26, 1914-March 18, 1986), was an American novelist and short story writer best known for his novel, The Natural. 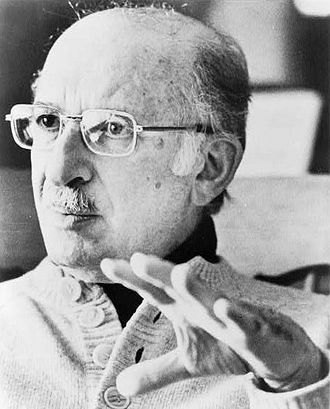 Along with Saul Bellow and Philip Roth, he was one of the best known American Jewish authors of the 20th century. 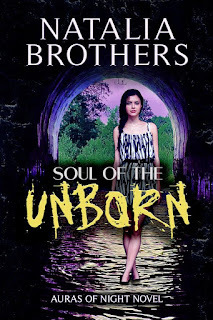 Soul of the Unborn is a dark fantasy penned by Natalia Brothers and published during November. Both paperback and digital versions will be available on Amazon. (ISBN9781944728083-print; ISBN9781533770073-digital) City Owl Press is publishing the novel of 370 pages. Following are Natalia’s synopsis and bio. Posing as a folklore tour guide, Valya Svetlova takes a group of American students and their professor, Chris Waller, to her summer home in the Russian village of Vishenky for a few nights of supernatural phenomena. She plays the perfect hostess. 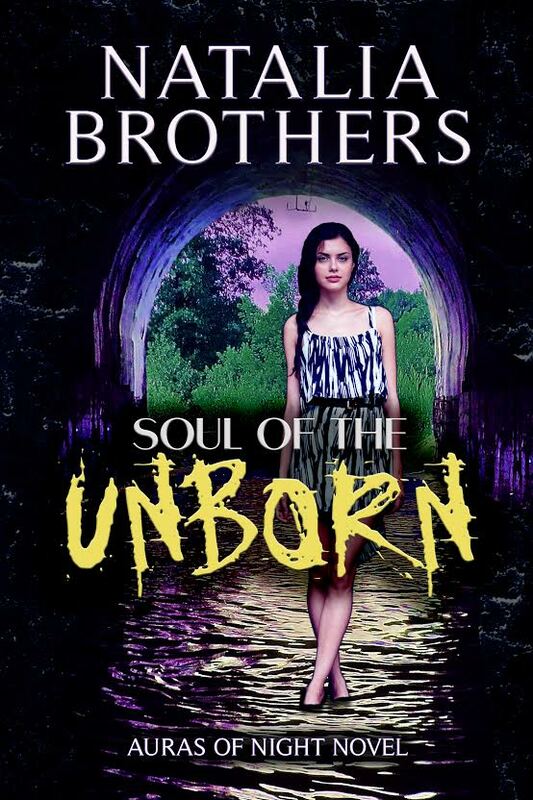 For Valya doesn’t want anyone to discover she harbors selfish motives when it comes to one participant, the only person who can refute a tale declaring her a stillborn resurrected by a paranormal entity. My name is “Karen’s Daughter.” I volunteer in the book store. My name is “Karen’s Daughter – ask me about my mom’s book.” I work in the pitch room. My name is “Torie – you know, Karen’s Daughter.” I’m in the query room. My name is Torie. 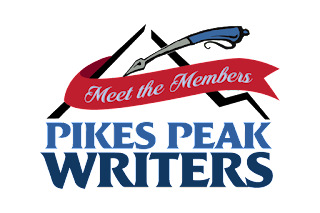 I run the Green Room at the Pikes Peak Writer’s Conference, and my mother is Karen Fox – published author on bestseller lists, award winner, Rita nominee, and a part of Pikes Peak Writers Conference from the very beginning. 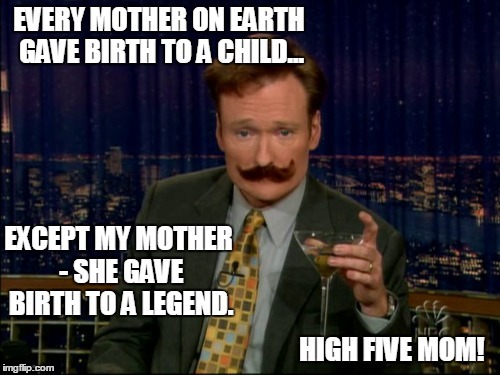 Yup, it took about a decade for me to have a name that didn’t involve my mother. Though in all fairness, my mother is the one who volunteered me as a child. And I was the most painfully shy kid you ever did see, so if my mom didn’t tell people my name, they didn’t know it. So I was “Karen’s daughter” for years. I started volunteering at PPWC because I was “volun-told.” I think part of it was my mother saw how much I liked writing, and wanted to begin working me into that world. Another part was probably trying to socialize me a bit, bring me out of my shell. And yet another part was I was free labor. Whatever the reason, my mom brought me to PPWC as a kid and more than twenty years later, I’m still around. As a kid, I liked the cash register and the food and the pool. As a high schooler, I liked the food and the fact that it looked good on my college application. But I also started sitting in on conference sessions here and there. I very distinctly remember one workshop on poetry that helped me through my AP English assignments. And I sat in a few that my mom and her friends presented. That was when the idea of being a real-life writer took root. My mother has been a writer for as long as I can remember — so I thought I’d do it too. 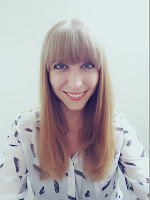 She published her first book in her late thirties — and so I thought I’d do it too. And silly, silly me, I thought it was as easy as “well she did it, I can do it too.” It’s not that easy, and it’s not going particularly well thus far. When I started writing, I had no idea what to do with my finished manuscript — which was more than 89,000 words for a YA novel. Already, there was obviously some knowledge that I was lacking. Bless her heart, my mother still read that beast and gave me good, constructive feedback. But with it came the gentle push to look over the session agenda for that year’s conference. Always a mother, my mom was suggesting in her kind-hearted way that there was still a lot I needed to learn. I took her hint, and I rolled with it. I sat in more sessions that year, ones that were more specific to my genre and how to publish in general. I talked to people of all walks of life — editors, agents, published authors, bloggers, keynote speakers, and more. I set up pitch or query sessions every year since then, where I’ve gotten some great advice. I’m now on version 5.1 of my query letter, I’ve edited 5,000+ words out of that one novel, written four more novels, and have started a website and a blog. 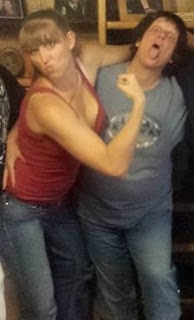 My mom taught me what it meant to have the heart and soul of a writer, and PPWC taught me the business end. Now I’m thirty-two, and I’m still a volunteer at PPWC. I still like the food and the pool, but more so these days, I love the company. 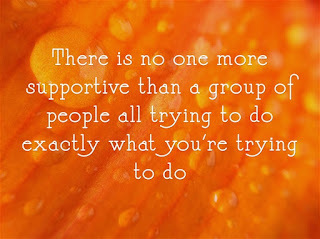 PPWC has become my Writing Family. Everything I’ve learned about truly being a writer, I’ve learned from this amazing group of people. 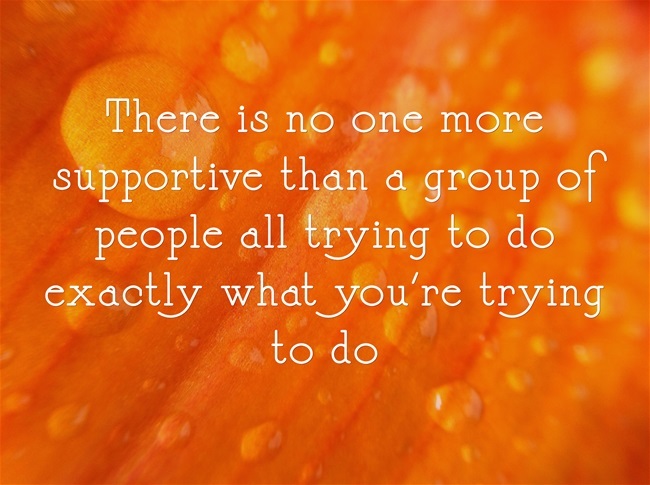 There is no one more supportive than a group of people all trying to do exactly what you’re trying to do. No one who knows the struggles and heartaches better than people who have already survived them. No one who will celebrate your small successes more than people who know how to find them. The crew at PPWC is a part of my life now. I see them every year. I stalk them on Facebook and Twitter and Instagram. 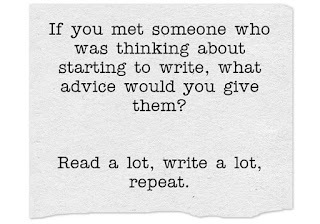 I read their books, I write reviews, I take their advice. It is through this group of people that I have made any progress. 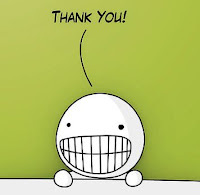 I firmly believe that when I do publish, it will be thanks to some wonderful human being from Pikes Peak Writers. About the Writer: Torie Fox-Phillips is a Loan Intelligence Associate Analyst, more commonly referred to as “The Excel Guru” at the FirstBank headquarters in Denver. An aggressive multi-tasker by day and a social moth by night, she has been a PPWC volunteer and a writer since she was eight years old – though the illustrious title of “Author” still eludes her. With five complete YA novels, and a plethora of paranormal short stories, Torie continues the hunt for an agent. Crikey! KJS: Do you have anything in particular you are working on right now? Karin Huxman: I’ve been working on a non-fiction book for the middle school set called “Colorado Coalfield Wars: Massacre at Ludlow” for Apprentice Shop Books, which should be coming out this fall. I’m also working on romance which is the second in a series that my agent is shopping around. KJS: Have you set any goals for your publication date? Karin Huxman: I would love to have some kind of release party for the Ludlow book. It’s been a long time coming. KJS: If you have a completed manuscript/story/poem/flash have you submitted it yet? What have the results been? Karin Huxman: I’m a multi-published author in romance and children’s and poetry. That being said, my agent has two manuscripts she’s shopping around, and I have another that I’m polishing before sending to her. KJS: How do you get past the "No's"? Karin Huxman: The no’s are just part of the business. I don’t let them bother me as much as I used to. KJS: What does success mean to you? Karin Huxman: Some days it simply means sitting down at the desk and getting the words down. 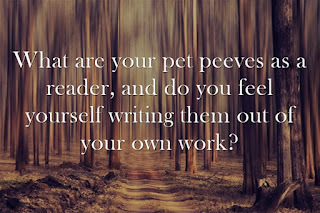 KJS: What do you do when procrastination is winning over writing? Karin Huxman: Sometimes procrastination is my mind’s way of saying it needs a break. Other times it’s a message that the story isn’t working and I need to think about why. KJS: Writing conferences, workshops, and critique groups are an important part of the new writer's experiences (and more experienced writers too!). 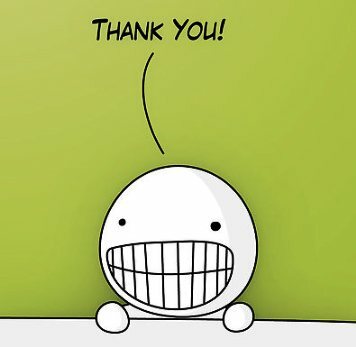 How have they helped you? Karin Huxman: I have had some wonderful experiences with conferences and critique groups. But being the introvert I am, conferences are stressful for me. I need a real good reason to spend the time and money and go. KJS: Do you attend the events outside PPWC and, if so, which ones are your favorite? KJS: Do you have any "self-help for writers" books that you use regularly? How do they help? Please share your list of your top 2 or 3. 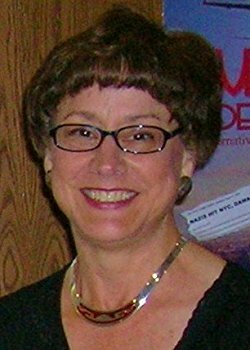 Karin Huxman: I always suggest Pam McCutcheon’s Writing the Fiction Synopsis and Debra Dixon’s Goal, Motivation and Conflict to fledgling writers. As for other books, I’ve got shelves of them. I’ve read them all and taken away what I needed from them. KJS: Does your reading influence your writing? How? Karin Huxman: I try to read broadly, both in genres that I write in and those that I don’t. I believe that reading broadly informs your writing. 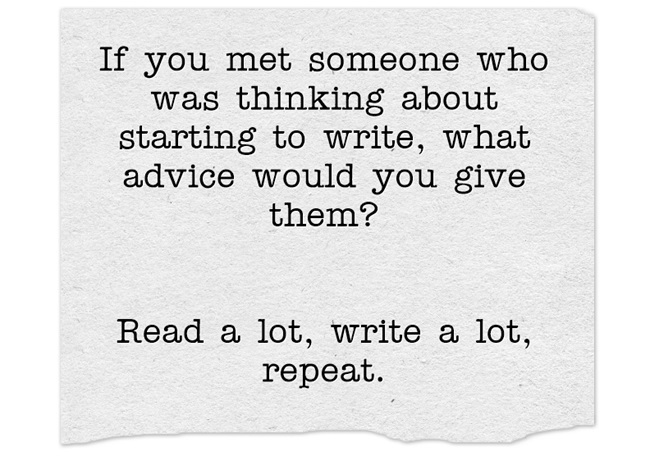 KJS: If you met someone who was thinking about starting to write, what advice would you give them? Karin Huxman: Read a lot, write a lot, repeat. KJS: What is one (or a few) of the most important lessons you have learned so far? KJS: What question did you hope I would ask? KJS: (It is still a mystery if she’s a dog or cat person). What expertise in your background do you draw on in your writing. Karin Huxman: The places I’ve visited inform my writing more than my time in the Air Force or my current career. I guess the fact that I grew up in a small town and enjoy that kind of life is why my stories generally are set in that kind of environment. 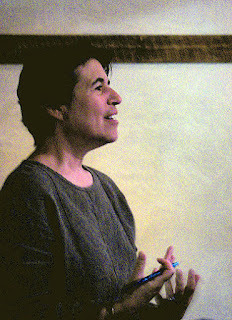 Thank you, Karin, for telling us about your writing life. We invite other members to volunteer for our Q&A.